Here’s what’s of interest from Marvel for May 2015. A full list of solicitations is available here. This month kicks off the “Secret Wars” crossover in full force, which I’m not overly interested in. 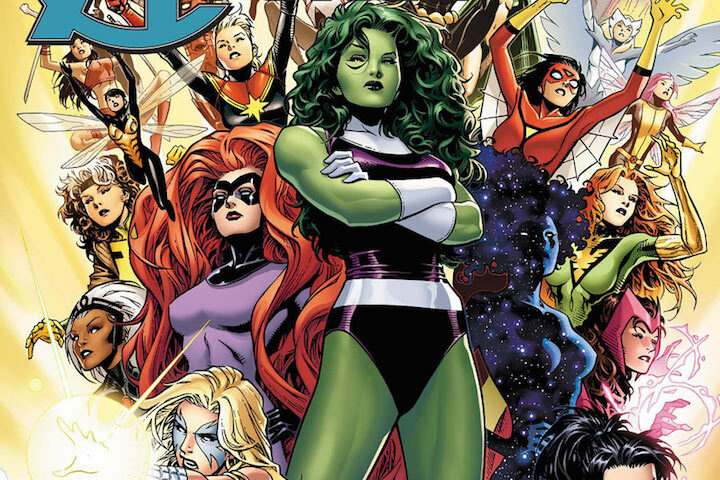 A large number of tie-ins to it, unsurprisingly, including “A-Force,” a new superhero team led by She-Hulk. “Night Nurse” was a short-lived 70s romance/adventure comic that Marvel published to try to attract more women readers. One of the characters hailed from a previous similar series Marvel published in the early 60s. Like Patsy Walker, “Night Nurse” was formally folded into the Marvel Universe in later years. There’s a fairly large amount of Ant-Man and Avengers material out this month, per the second “Avengers” film out in early May, plus the Ant-Man movie later in the summer.